With way more style than any stiff-armed soldier, this Northwoods nutcracker needs only a crank of his tail to shell holiday snacks. 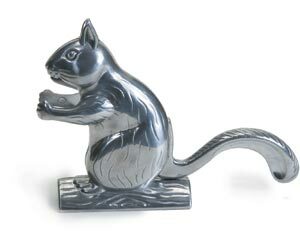 Perfect for the man who has everything, or else … somebody squirrelly. $18.95, Cutler’s, Petoskey, 231-347-0341.